Designed by Jos Buivenga in . Published by exljbris as part of the Calluna Super Family. 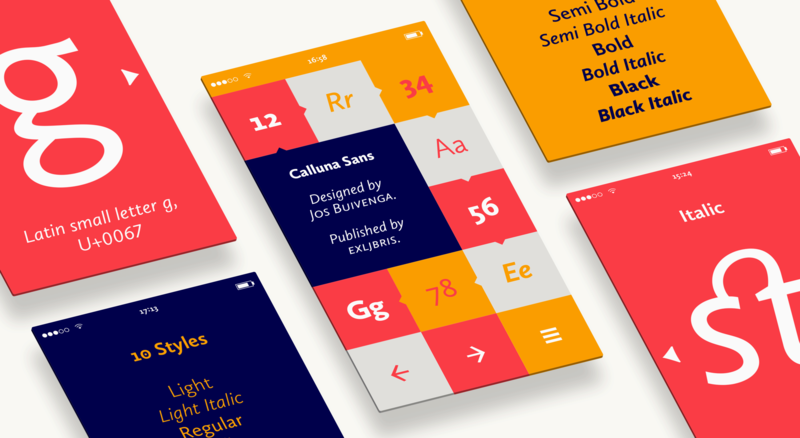 Calluna Sans supports up to 81 different languages such as Spanish, English, Portuguese, German, French, Turkish, Italian, Polish, Kurdish (Latin), Romanian, Dutch, Hungarian, Kazakh (Latin), Czech, Serbian (Latin), Swedish, Belarusian (Latin), Croatian, Slovak, Finnish, Danish, Lithuanian, Latvian, Slovenian, Irish, Estonian, Basque, Luxembourgian, and Icelandic in Latin and other scripts. Meine Arbeit ist mein Vergnügen.